I dislike both solutions. The first seems very brittle and pollutes the external interface. The second requires preprocessing step, or pollutes global object. When trying to make inner functions externally visible (via exporting from closure or attaching to global object), we are trying to move then from their natural place into testing closure. This is shown in the next screenshot. What if we moved a piece of testing framework inside the closure? This test-mole then has full access to the code around it, and can schedule tests right there. If the test mole finds globally defined BDD methods describe and it, the test mole knows it is testing mode, and thus points its methods to global methods. testMole.it then is just an alias to window.it. If the test mole does NOT find globally defined BDD methods, then it assumes we are running in production mode. In this case all mole's methods are noops. We can run the unit tests by installing test-mole (using npm install test-mole) and then running via mocha. These are highly subjective benefits of introducing test-mole into your environment. Keeps testing code very close to the production code. Keeps externally visible interfaces sparse and clean. Increases code coverage and data types without multiple unit tests by targeting specific inputs. Requires tiny single 3rd party script to work, no pre-processing is necessary to work in testing or production. 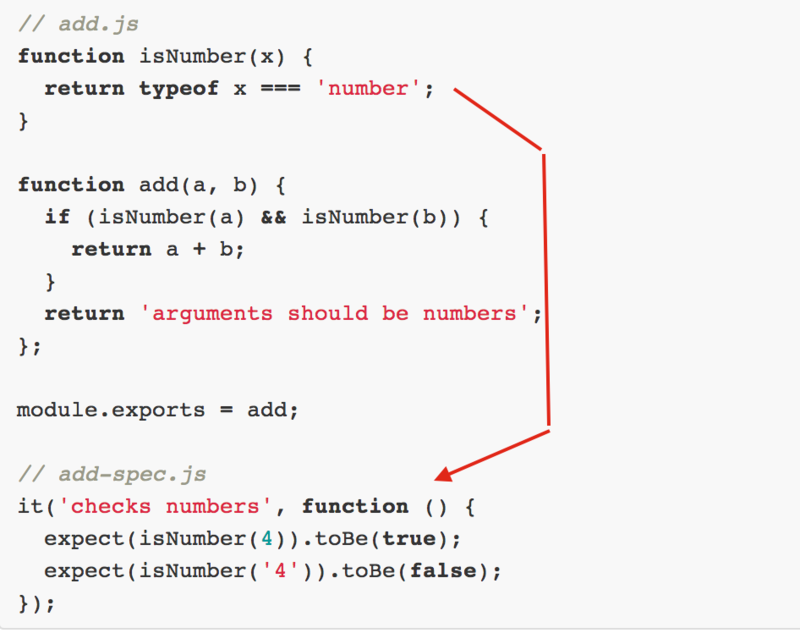 Can be a good and quick solution before code refactoring. Avoids code duplication between code and testing specs. The last code duplication point requires explaining. Often when trying to write a short and elegant functional callback, I find myself copying code from internal closure into separate spec file just so I can confirm it works. Being able to test the actual code without copying it (and keeping up to date!) is music to my ears. There are multiple objections to test-mole. Feel free to write more objections as comments to this blog post. Mixes testing code with production code leading to longer files. 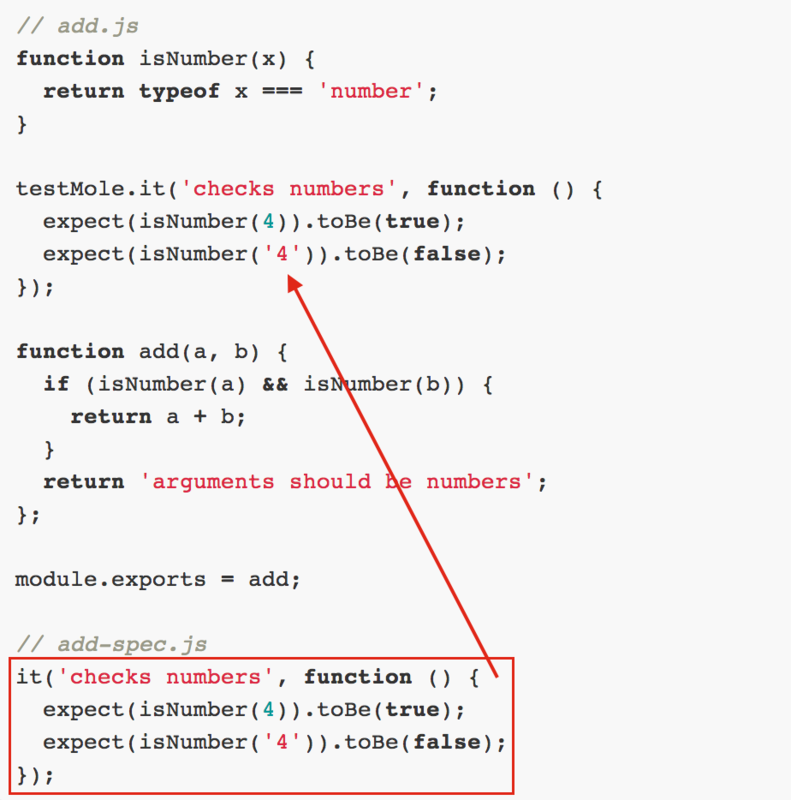 I tend to use test-mole for small unit tests, that should not significantly add to the source length.